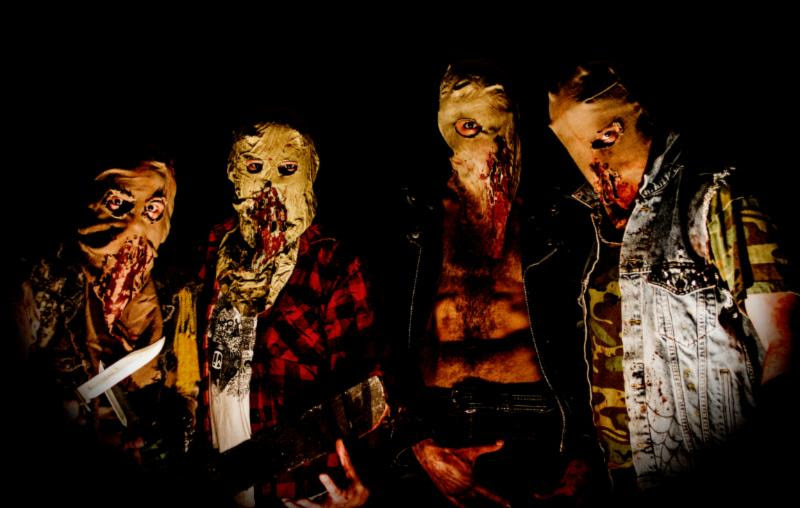 Oakland, California – FROM HELL is a new horror concept heavy metal band. Their debut release on Scourge Records on April 8th, 2014 is called Ascent From Hell and it is as heavy as it is epic! FROM HELL is the brainchild of George Anderson aka Aleister Sinn, the live narrator of this horror story. 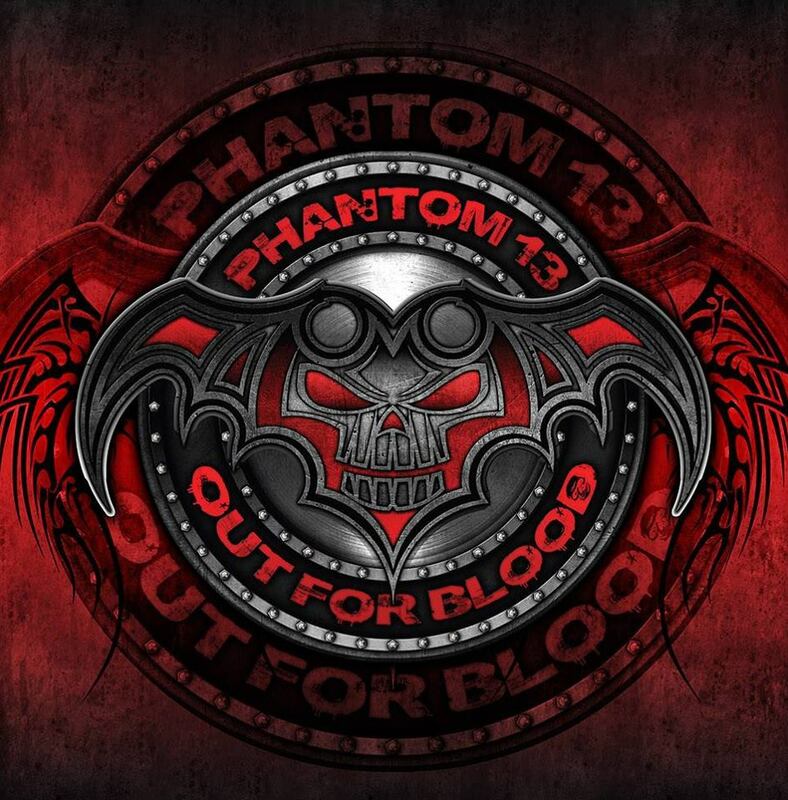 This project began in 2007 after his previous band Down Factor with then drummer Ramon Ochoa, Brooks Rocco on guitar and Waylon Ford on bass broke-up. 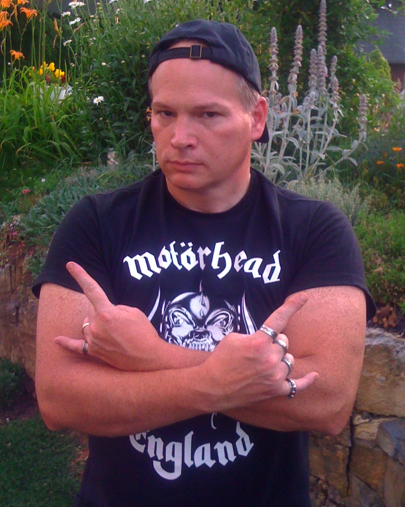 Interested in putting a different type of band together that was not involved in politics, George formed FROM HELL to tell horror stories in the vein of King Diamond. Every song is in some way linked to all of the other songs and when each album starts, they don’t stop until the very end. After several line-up changes, during the recording of the first album, George enlisted some amazing players to record with him in FROM HELL. For this debut recording, metal icons Paul Bostaph from Slayer on drums, Steve Smyth from Nevermore on lead guitar and Damien Sisson from Death Angel on bass were recruited to make this record happen. This recording is diabolically epic, and heavy as Hell! Every song is different from the next, covering many genres of metal; from thrash metal and black metal to death metal and doom metal. 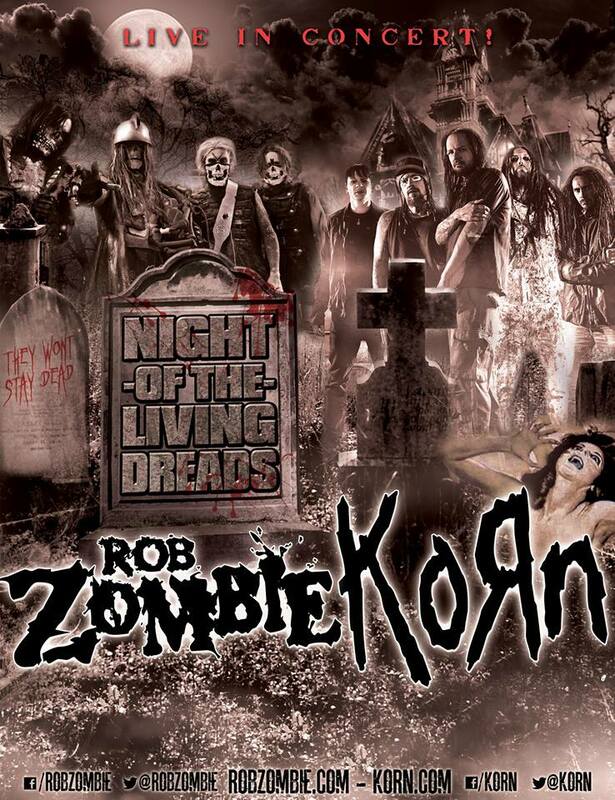 This album is as dynamic as metal can be! Also participating in this recording is Phil Bennett of the iconic rock band Starship, playing piano on the track Dead Reckoning and a 22-piece choir, The Pacific Mozart Ensemble on four other tracks. Establishing new ground, this record has the first recorded blast beat by Paul Bostaph, orchestrated with shredding guitar solos from Steve Smyth and heavy melodic & syncopated bass by Damien Sisson. 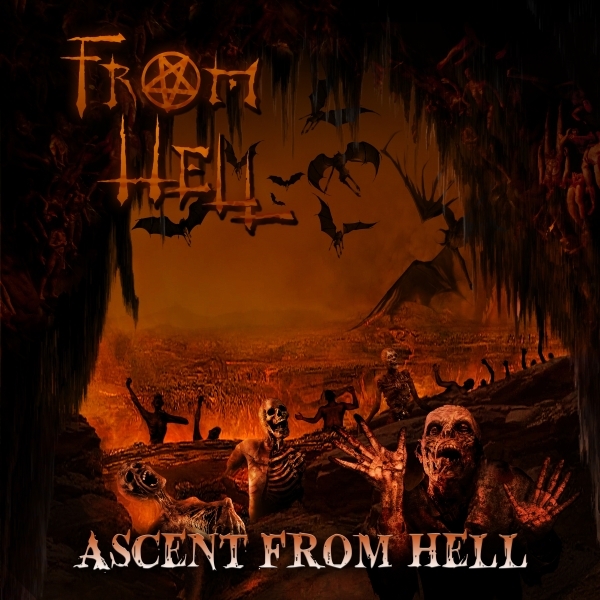 FROM HELL – Ascent From Hell to be released Physically and Digitally worldwide on April 8th, 2014. In recognition of that holiest of holy days, Record Store Day, the masked mutants in GHOUL are releasing Hang Ten, a limited edition six-song (mostly) instrumental 10″ EP. Featuring guest vocals from Tony Foresta (Municipal Waste, Iron Reagan) as Henchman #1 and the inimitable R.A. MacLean (ex-Deadbolt) as Kreeg, alongside Digestor, Cremator, Fermentor, Dissector and The Moron Cavern-Shackled Choir. Hang Ten was recorded by Salvador Raya at Earhammer Studios in Oakland (birthing home of Splatterhash, Splatterthrash and Transmission Zero), mastered by Dan Randall at Mammoth Sound Mastering and sports cover art by Sean Aaberg of Pork Magazine. Hang Ten will be released on April 19, 2014 via Tankcrimes Records. Peep the artwork at THIS LOCATION. In related news, GHOUL will headline the first night of this year’s edition of Brainsqueeze Fest. 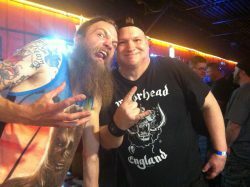 Set to take place April 18th and 19th at the Oakland Metro and April 20th at Eli’s Mile High Club, which will include BBQ and an Andrei Bouzikov art show, the mammoth event features more than a dozen acts including Municipal Waste, Final Conflict, Negative Approach. 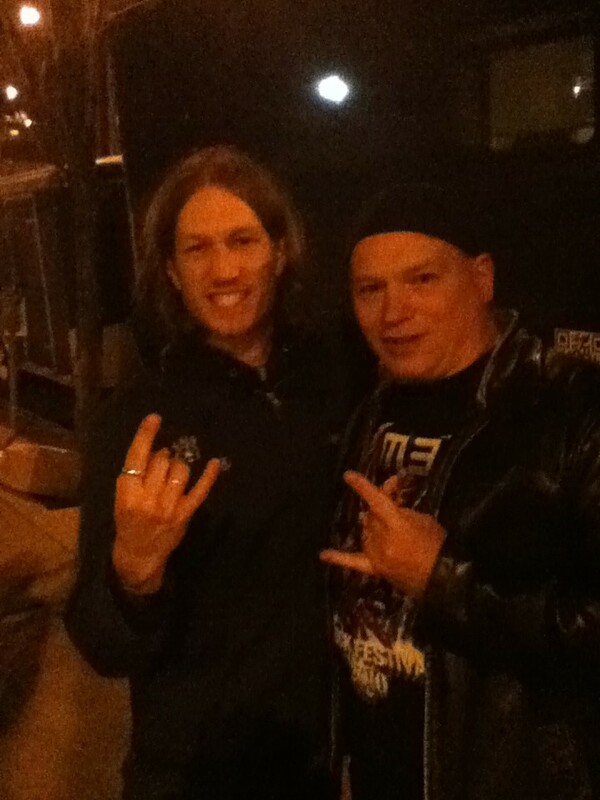 Fucked Up and Cannabis Corpse as well as a gaggle of new Tankcrimes releases to be revealed in the coming weeks! Get your riot gear ready. For more info, point your browser HERE. Further GHOULish missives to be unearthed in the coming days. Until then, wither. 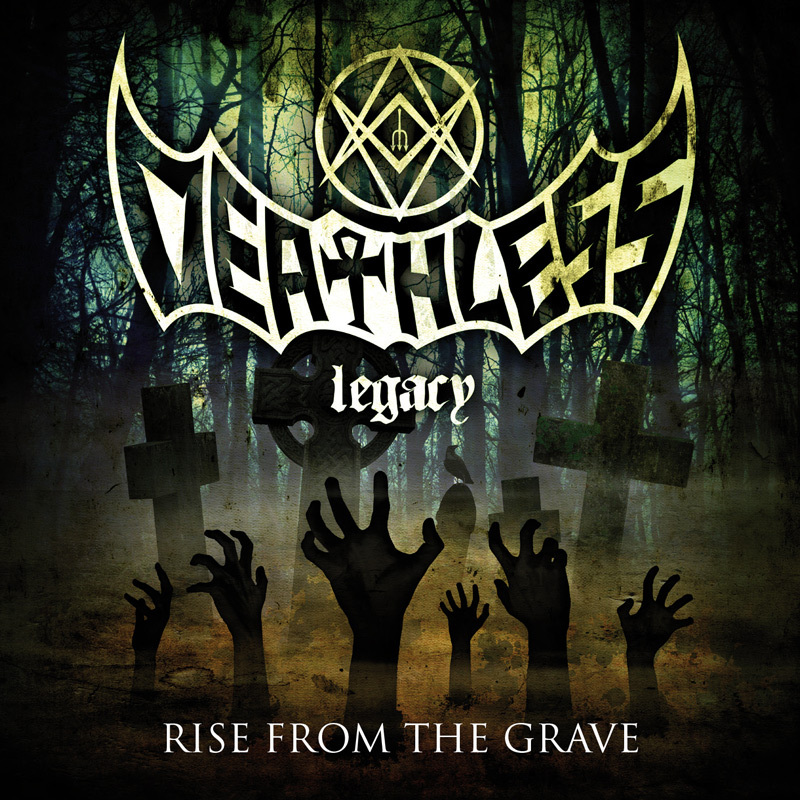 “Rise From the Grave” is the first album from the Italian Horror Metal band Deathless Legacy. 10 creepy powerful songs adorned with industrial synth and a taste of hammond, to evoke the inner wishes and fears of all the human-beings walking on this world. 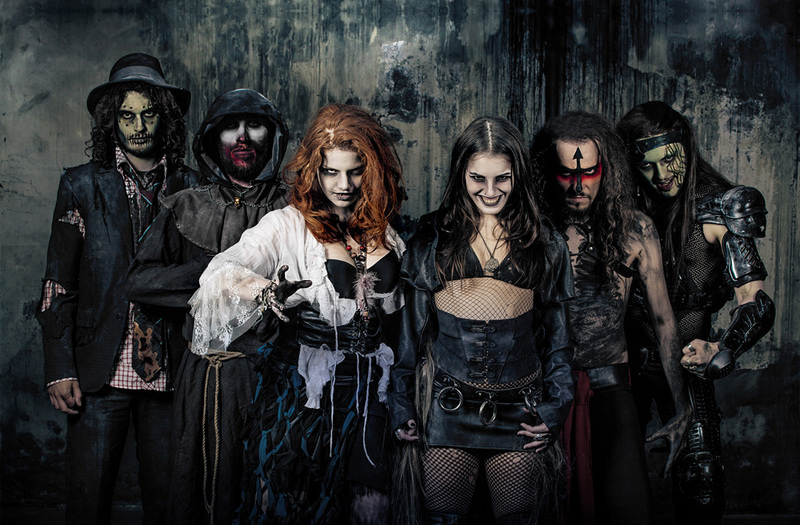 Their music is plenty of horror, as their presence on stage: all dressed up and made up like evil immortal spirits, they drip horror aspects from every point of view, including music and atmospheres. 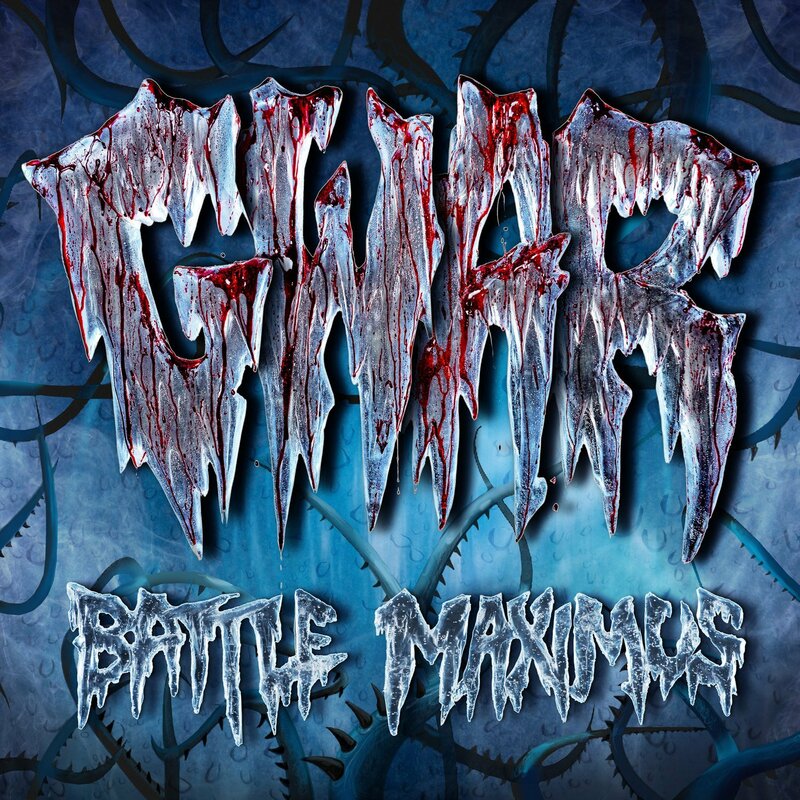 “Rise from the grave” mixes heavy, speed and Gothic Metal sounds, giving birth to a new experience of Horror Music: you’ll be scared and exalted, believe the monsters! 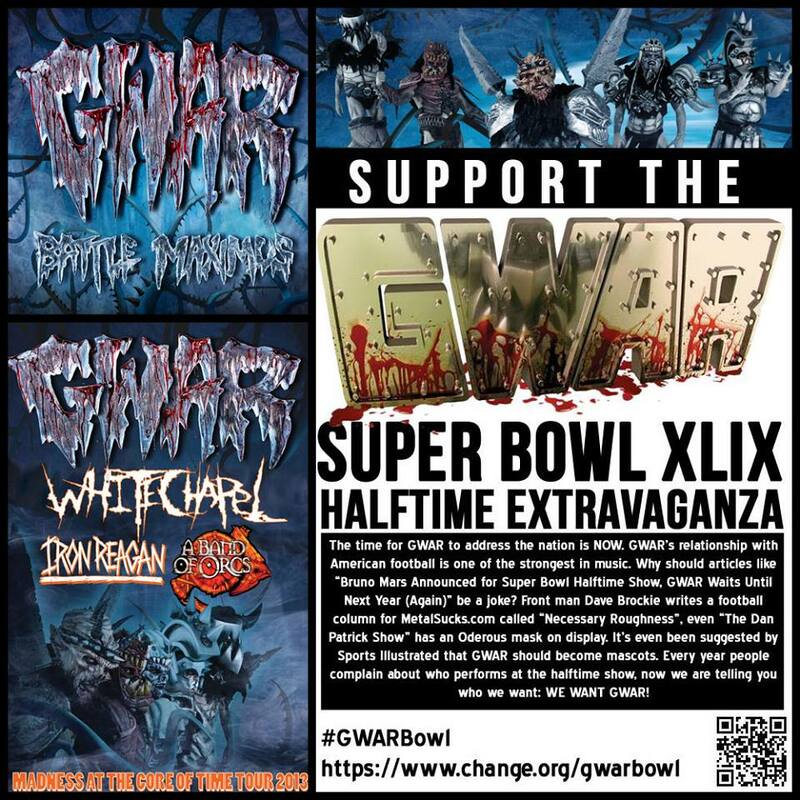 This is the actual signing page for the petition to get GWAR to play the Super Bowl, which is growing by about 5000 signatures a day… I think we need about two million so lets get on it! 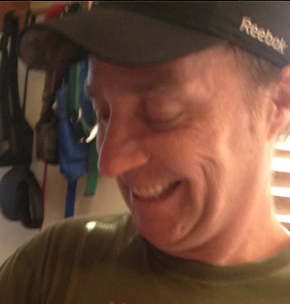 LONG LIVE THE SUPER BOWL.